Well its been a busy week in woodworking HQ with great progress on the console table. 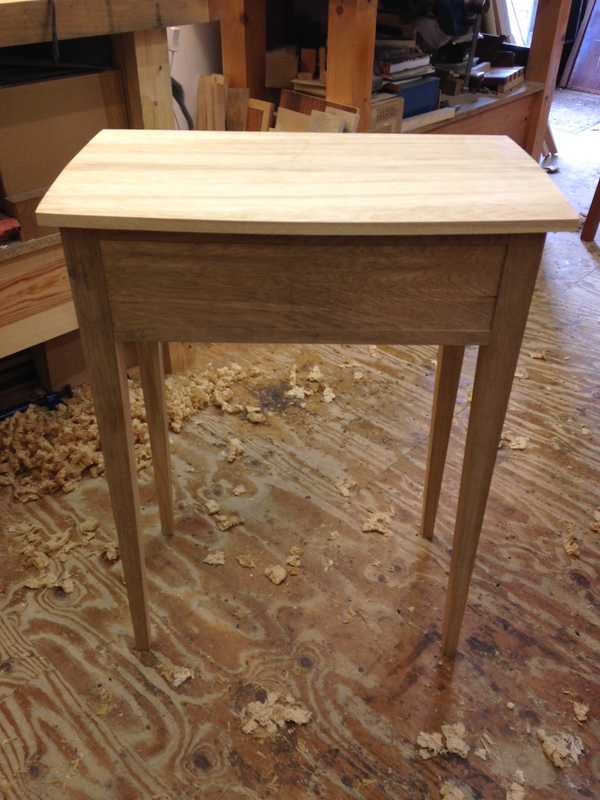 This week has seen a coming together of the various cut components into what we can recognise as a table. The tasks seem too numerous to mention, certainly my body aches this 'weakend' (sorry that was just too obvious), from shaping tapered legs, fitting the side and rear panels together with mortise and tenons and hand-cut dovetails across the front. 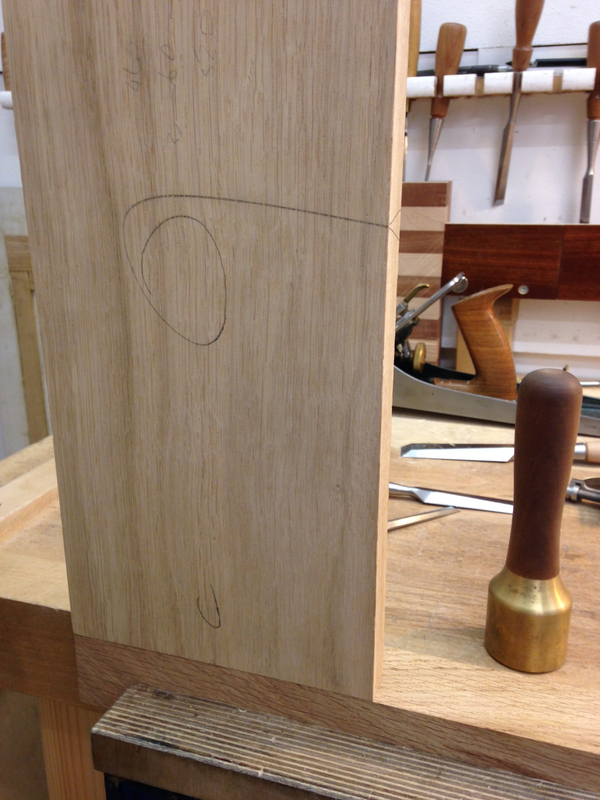 The top has been shaped with a gentle curve, I plan to inlay a thin line of box wood to punctuate this curve. This is by far the most challenging week yet with the stakes rising on each new cut and fit. 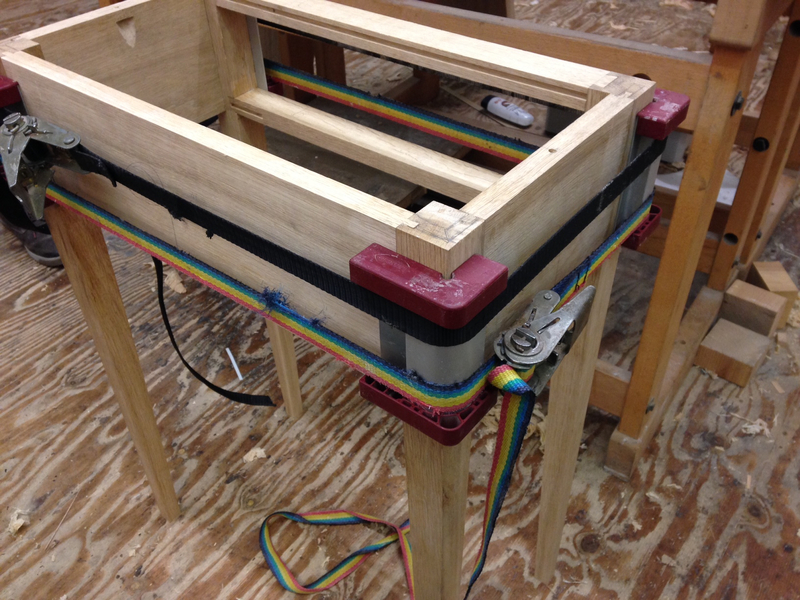 It was a proud if not stressful moment seeing the table take shape and fit together for glueing and involved most spare hands in the workshop to cramp, tap and coerce the table into a perfect fit. A brief word on precision: I had always thought of myself as something of a perfectionist but this project has pushed my attention to detail further than I thought possible, I guess it's a key part of learning to be a craftsman. In my previous life I could always correct a mistake on a spreadsheet, change the direction of a product development - yes it demanded attention to detail - but it was a process of constant refinement; oh how this world is so very different. I have previously mentioned the idea raised stakes, it is amazing how a small inaccurate cut early on can impact on the following stages, a snowball effect that is hard to stop having a damaging effect on the end piece. With this in mind I spent Friday afternoon recutting drawer rails to fit perfectly inside the frame, no one would have ever noticed that one was 2mm shorter, it had no impact on the structure or fuction but it just didn't feel right. I am learning the fundamental importance of care at every stage, after all the desire is to produce something fine and crafted, these details matter. 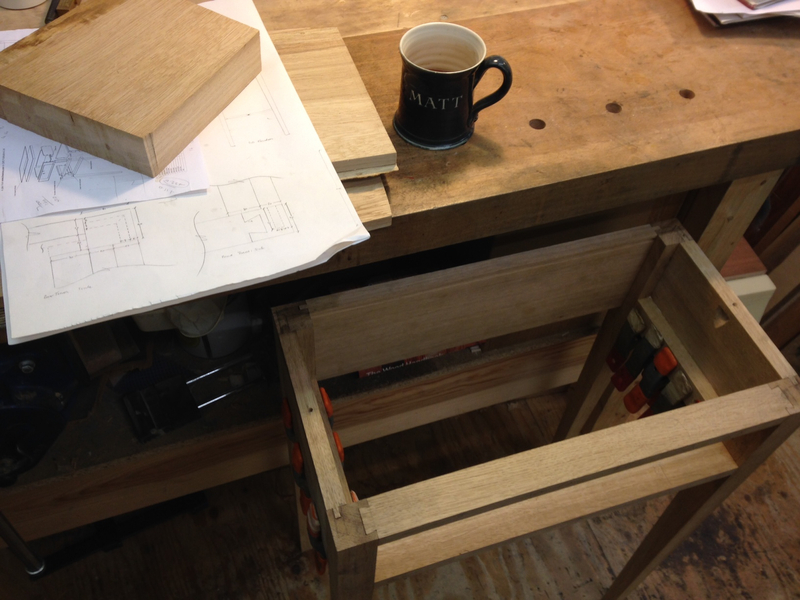 Stay tuned for the next instalment where I move closer to completing the first proper piece of furniture - I will be cutting out lapped dovetails for the drawer and fitting the top, I think a natural 'soft' finish is required and think it might be time to revisit waxes.